Are you dreaming of being the next Gordon Ramsey? I say you don’t need to be one to wish for the best professional gas range for your home. A pro-style range is no joke when it comes to investment. Yet, it sure does upscale your property’s market value. However, it’s what’s “in” nowadays for cooking enthusiasts who want to take the best shot on their cooking competence and make home a warm gathering nook for friends and family who love to eat. Who doesn’t love food anyway? Do you want to go to the next level? Welcome to pro-style! 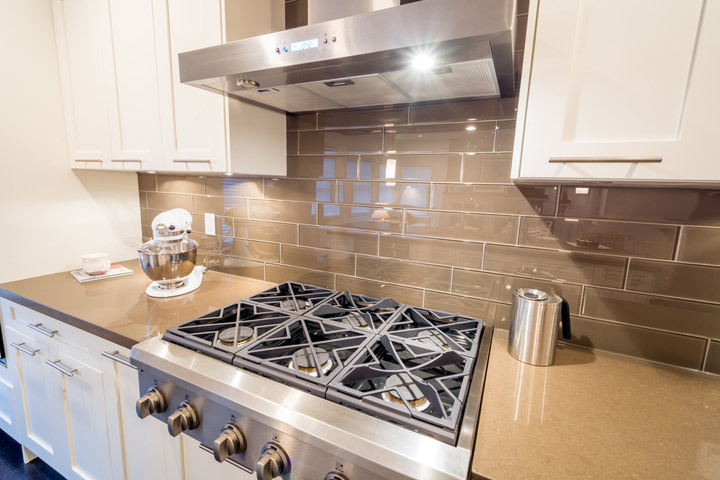 Will your ventilation match your gas range? Will it fit your kitchen space? What features do you expect from a professional gas range? Pro-style gas ranges have been a fad for the elite kitchen for decades. When restaurants started using high-end ranges, and people couldn’t stop but wish to have the same at home, the demand for professional gas ranges increased. This means a clamor for more burners, built-in griddles, grills, more power, and professional cooking features. Professional Gas Ranges can fit standard-depth counters for a home and has effective insulation to prevent it from getting too hot. One advantage of gas ranges is how easy, and quickly you can regulate the heat from high to low or the like. However, pro-style gas ranges require twice the required heat than a standard range. It’s an ambitious kitchen upgrade, but you know that this dream equipment will fit any style at home. The standard width of professional ranges could be 30, 36, 48, and 60 inches. If you want a large range, you’ll enjoy features like more burners, cooktop choices, and available oven space. Your house must be spacious enough to accommodate such large equipment. Do you know that the oven space for a 36” unit can accommodate catering trays? Imagine what a 48” and 60” can do! The cost depends on the size, model and added features. For a rough estimate, the price could be around $12,000. This type of gas range can be durable and would last for more than a decade. However, expect that you need to cash out for maintenance. Unless you bought one from a reliable brand, it’s rare to find a shop accepting for such repairs. Aside from that, most of the models don’t self-clean. It could cost you additional bucks to buy one that does, or not. 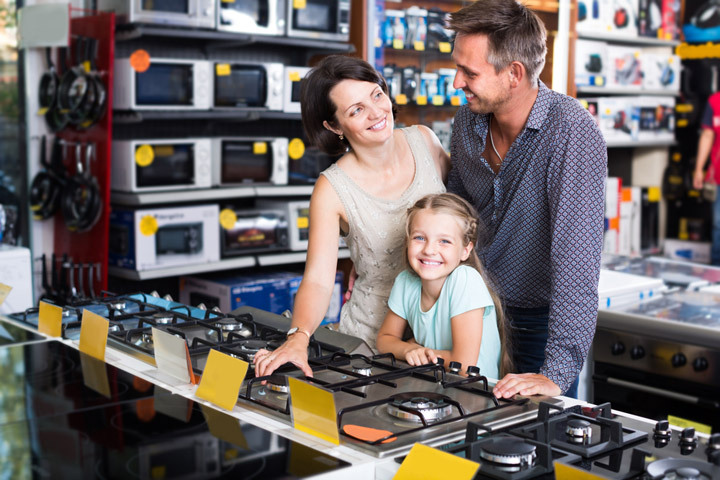 After giving you a little background of what a professional gas range is, I make it a point to guide you on what you need to consider when you decide to buy one. At least, you know what to look for, when you’re prepared for the improvement. Read each one of the factors and carefully evaluate your needs. This high-end gas range produces moisture, stench, carbon monoxide, and smoke. Along with this upgrade is the need of vent hood that exhausts outside. I suggest procuring your hood from the same manufacturer of your range. They will give you recommendations of a perfect match. Which one is your supply line? This type of gas range will work for natural gas or propane. Be sure to pick one that matches your supply. Don’t forget to read the specifications and check the gas line size. Take note of the actual measurement of the model you’re eyeing at. Do some renovation to your kitchen to make fit for the space needed and a plan on how to get it in the house before setting a delivery date. Take into consideration the weight as well since a unit of this kind of range can weigh over 900 pounds. Ensure that your floor is strong enough to endure the load. When you use a powerful gas range at home, especially turning on burners simultaneously can make your kitchen atmosphere hot. Your ventilation could solve cooling down the room temperature, but the heat that may trouble you when not using suitable cookware while cooking is no joke. If you plan to buy a high-end gas range, upgrade your cookware to match it. You might need to own cookware that matches regarding the burner size and heat conduction. Along with this powerful cooking equipment, are features that you desire to make use of when owning one. Therefore, it’s best to familiarize yourself with the model that you dream of, regarding the use and the capacity it holds. 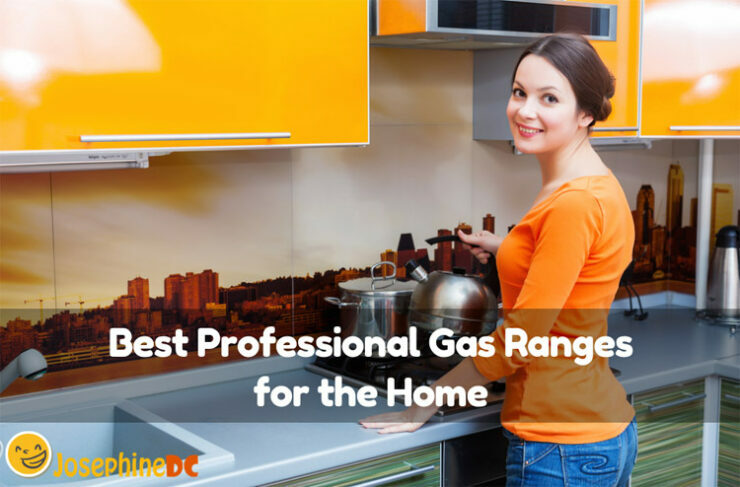 Here are features that a professional gas range can offer you at home. Continuous Grates: Cast iron that interconnects makes it easy for you to slide your pots between burners. Hence, you don’t need to lift your big, heavy pans at all. Simmer Burner: Provides, gentle, steady flame when you’re cooking something that needs a lower heat. There’s no more risk in burning the butter. Boiler Burner, Grill, and Griddle option: It’s convenient to have both in one sitting, right? Your exhaust must be able enough to manage the smoke from your grilling. Infrared Broiler and Steamer: Infrared broiler allows you to heat food without preheating. While steamers are possible for dual-fuel ranges and require a water line. Other features: Knobs, sliding racks, convection are other features installed to do your cooking at utmost comfort. You can turn the knobs smoothly when controlling the heat of the burners. It’s also assuring that there could be two fans that circulate heat in the oven cavity for even cooking and of course, the standard ball bearing tracks that slide smoothly for your convenience. Burners: Professional Gas Range’s popular feature is the multiple burners, a high number of BTUs (British thermal units), and high-quality performance. Choose a combination of burners that suits your needs. There are different burner options out there like French top, basic burners (close and open), and power burners. I bought a Professional Gas Range for my home last year. My priority was to choose the model that can support the cooking methods that I often use. For me, it’s the primary consideration when buying a piece of equipment who’ll become your buddy in every occasion. The pro-type gas ranges that I’m about to review were the top 5 of my picks. All are desirable to place at home. All you need to do is to pick one that’s useful for you. I will start with the 30” Kenmore Elite Stainless Steel Gas Range that offers you true convection in 5.6 cubic feet oven space. True convection enable you to prepare food with all throughout even cooking. It also contains three porcelain-coated oven racks that you don’t need to pull out while the self-cleaning cycle is on. In fact, the adjustable, easy-to-clean oven racks enables you to cook multiple dishes at once. This model boasts five gas burners to provide you ease and comfort during your multitasking. Hence, cooking your fried eggs and making pancakes at the same time will not monopolize the rest of your cooktop. You can turn the turbo boil Flex burner as low as 750 BTUs or boost it to 18000 BTUs. The Kenmore pro-style gas range features a center oval burner for your griddles and large cookware. Besides, a warming drawer keeps food until your mealtime. This open type burner pro-style gas range provides convenience in cooking and is easy to clean. Has a combination of a power fan and heating element. The oven has proofing capabilities. The oven door is removable. The ignitor will not automatically turn off during a power shortage. This 30” freestanding gas Flex duo range has an oven that you can split into two. Therefore, cooking dishes at the same time with two different temperatures is now possible. The 5.8 cubic feet capacity and flexible cooktop ensure the flexibility of cooking multiple dishes at once. The large interior space can easily accommodate a big roast, multiple casserole dishes, or racks of cookies. With the gliding rack feature, you can easily slide heavy dishes within just like your jumbo turkey for Thanksgiving. A unique ball bearing design allows you to check on your food while cooking. The specialized five-burner cooktop ensures that you can simultaneously cook multiple dishes using different sizes of pots and pans. Enjoy cooking a variety of your favorite foods with the removable stovetop griddle and custom grate to cook stir-fry in your wok. Of course, the stovetop griddle is included in your purchase as well as the customized wok grate. Now, you can easily use a round bottom wok with the circular design that fits perfectly around the burner. Programmable oven to convert conventional to convection temperatures. You can only divide the oven into equal size halves. The ZLINE pro-style Range has an oven with three layers of glass and dual lighting. The professional mesh steel design is perfect for optimum insulation. You can control the oven light with the switch located on the front control panel. Hence, you have clear visibility of what is cooking up inside the oven. This model’s proprietary stay-put hinges design is to support the full weight of oven door and stop at any place. It’s durable and effective, with a smooth action. The premium alloy ensures efficient and clean burning flame. I love the fact that it’s handcrafted with a high-quality Italian burner that’s imported directly from Italy. Check the front control knobs with its five different functionalities and know that Italian burners can easily detach for easy cleaning. The heavy-duty porcelain one-piece cooktop allows you to clean the surface with gaps that can hold residues. Be assured that this no-scratch porcelain design can withstand any cooking environment. The solid-piece cast iron grill is heavy-duty. Comes with an LP conversion kit. The oven has plenty of space. Do not have timers and clock. Atosa’s pro-type series 36” freestanding gas range has heavy duty lift-off cast iron burners, rated at 25000 BTU/hour. These burners deliver superior power and heat distribution. This model has 12” x 12” cast iron top grates and ¾” thick polished steel griddle plate. The range’s construction is stainless steel front, back, sides, kick plate including back gard and high shelf. The oven has a burner rated at 27000 BTU/hour and oven pilot with 100% safety shut off. It also has one chrome rack for each oven and features multiple position oven rack guides. In addition, the tubing for burners and pilots are all made out of stainless steel. I like the design of the stainless steel legs that I can adjust that suits my ideal height while cooking. And lastly, Atosa tests the safety valves carefully to make sure that it automatically stabilize the fire in case of emergency. Take note that this pro-style gas range needs a firewall when installed for safety purposes. You need a firewall behind it. This 36” Stainless steel Kucht pro-style natural gas range makes you cook and bake like a pro chef with its extra-large convection oven. The 5.2 cubic feet oven space capacity has a 5-rack configuration and an extra-large oven window. This model has six burners including one that has 18000 BTUs, two 15000 BTU dual burner with simmer, and three 12000 BTU burners. If you have a passion for traditional cooking, the manual controls give the ease of use and the electronic ignition will reignite automatically to keep you safe by preventing the risk of gas leaks. Also, the heavy-duty cast iron cooking grates allow you to transfer cookware from one burner to another without lifting. It sure does unleash your inner chef. The freestanding pro-type gas range has a sealed burner type and contains a heavy-duty cast iron cooking grates. The black porcelain top that is scratch free and easy to clean matches the blue porcelain interior as well. The purchase includes a broiling pan, and you can fully adjust the heavy-duty legs. A light indicator shows when you’ve reached the desired temperature. A switch can turn on the convection function on and off. The oven can’t be lit manually. The stainless strip is not removable. Does not come with a griddle. There is no storage drawer. Owning a high-end gas range at home is a dream come true, but along with it comes the responsibility to maintain its looks and tidiness. Here is a short video showing you how to clean your gas range. I sure hope this helps! I love cooking and always dreamt of a high-end pro-style gas range for my home just to experience the convenience and comfort that it brings. Finally owning one, it became the heart and pride of my kitchen. I bought the ​30” Samsung Gas Flex Duo Range because it has the features that I need and wants at home. This model is exactly the size I want that fits the space allocated in my kitchen and is enough to accommodate the appetite of my family of six. I am not a pro chef at all, but with this unit, I know I could do more. How about you? Have you decided what’s best for you? Any of the choices are perfect as long as you know exactly what you need. Good luck!